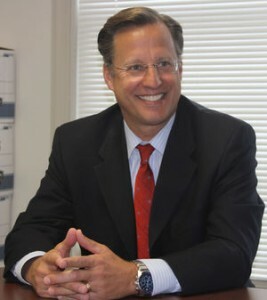 Congressman Dave Brat Just Keeps Doing The Right Things | Virginia Right! As a Libertarian, I am used to disappointment. Some Libertarians choose to fight the good fight amongst other libertarians, some amongst civil libertarians within the Democrat Party – I’ve chosen to fight the battle amongst Republicans. Considering a Republican Leadership ruled by Boehner and McConnell, it is no great surprise that most evenings I feel as though my efforts have been for nothing. Except, every day I am reminded that the 7th District sent Dave Brat to Congress and I am reminded that no district has ever been so well served or represented. Can you imagine that the 7th District used to be owned by Eric Cantor, House Majority Leader? Do you remember, Hanover County, when your Congressman Cantor lead the charge to funnel your hard earned tax dollars to Wall Street, to offer illegal immigrants amnesty, and to back a do-nothing Congress plagued by debt-limit increases, the Export Import Bank, and all kinds of K Street and Wall Street handouts? Look what you’ve done! Talk about reversing course. Whenever I am discouraged, I think about Dave Brat let loose on Washington D.C., and with unimaginable expectations placed upon him, Congressman Brat has not failed to live up to all of them. The Cantor Crowd hates him more than ever. Boehner will have to contend with Brat and Meadows if he doesn’t get his act together. Earlier today, Congressman Brat spoke out against the Iran TREATY. Yes, it is a Treaty and should be dealt with as such. Joining patriots like Mark Meadows, Glen Beck, Ted Cruz, Mark Levin, and even Donald Trump, Congressman Brat laid waste to the fallacious deal orchestrated by Secretary Kerry and President Obama. He keeps doing the right things. While Cantor was flapping his lips and spending his K Street money, Congressman Dave Brat was meeting with his constituents, something Cantor forgot how to do – no, not forgot – refused to do! Eric Cantor didn’t want to deal with you people. Congressman Brat, on the other hand, meets with you, listens to you, and then goes back to Washington DC and REPRESENTS YOU. There is a reason why we keep writing, why the TEA Party keeps fighting, why men of common sense and common cause continue in fidelity toward a brighter future and a better country: Congressmen like Dave Brat, Justin Amash, Thomas Massie, and Mark Meadows give us hope. Senators like Ted Cruz, Mike Lee, and Rand Paul give us hope. As long as Ted Cruz and Dave Brat fight for me, I won’t stop fighting for what is right, what is good, what is constitutional, and what is American. When you’ve got a rock star in your backyard, it makes it all that much easier to fight the good fight, to get behind the conservative soldiers like Ted Cruz and Rand Paul in their pursuit of the Presidency. So, Congressman Brat, today and again, has reinvigorated me to engage, to reach out, to petition my elected representatives, to follow suit and stand up for an America with a Future. Believe me, the GOP Leadership is a cynical cult, which no longer believes in a prosperous America. But, the rest of America doesn’t have a Congressman to fight for them. We do. Enjoy that. Remember that. Fight for that! Congressman Wittman are you listening? Rob? You listening? I didn’t see you on stage today. Why? The 1st District deserves a Dave Brat. The 1st District deserves representation. Rob Wittman needs to join the choir or get out of the way. Just saying. ← Our Watcher’s Council Nominations! Brat remains true to his promises , he not only keeps that seat as long as he wants, but may indeed be someone who will go on to be a pivotal player in restoring this nation to a balance, long overdue. Dave is the man we all hoped he would be, but it was a quiet solitary local leader who began the process of elevating Dave at the beginning. Thanks again Gerry for the insight and vision you led with ! Your comments about Dave Brat are right on. I have met Dave and his family several times and I’m telling you he is the real deal. The last time I felt this strongly about a politician it was Reagan. We have some good candidates out there and we need to support them. Although I would hate to lose Dave in the 7th it may come s time he should be running for congress. Regarding Witman he has turned into a big disappointment. He is morphing into a Cantor. Excuse me Mr. Tucker, But Dave Brat doesn’t vote the right way all the time…… and his constituents are very upset about his support of HR 1599. Voters have the right to know what exactly is in the FOOD WE EAT. 275 House members voted to keep consumers in the dark by voting for legislation that would block meaningful GMO labeling efforts in America. H.R. 1599, otherwise known as the DARK Act, essentially takes the rights away from states and municipalities to pass mandatory GMO labeling laws. The largely Republican-backed bill, introduced by Mike Pompeo (R-Kan.) and G. K. Butterfield (D-N.C.), nixes mandatory GMO labeling and instead suggests that companies voluntarily label foods containing GMO ingredients. The bill passed by a 275-150 vote. Brat voted for the bill. Let the private sector prevail. Anyone who can’t read labels needs to go back to school. Does the gov’t need to tell you what toilet paper to use as well Genny? “Genny” how many names do you comment under? It’s hilarious how those who oppose the Iran deal, do not tell people about the deal they want. Why not? Because it would be called the “go to war deal”, that’s why. The Republican’s are just playing politics with this. Just as Bush 43′ could not stop N. Korea from getting a nuclear weapon, Obama cannot stop Iran. At least not without more war. Thank the Lord cooler heads prevailed rather than AM radio. Mr. Lefty, I will tell you about the deal most AM Radio listeners want and that is keep the sanctions on and make them even tighter! It sounds like you have a great deal of confidence in the lightweights you want dealing for you! If Barak and Kerry are your man then just say so-we don’t need excuses about pace and all your other BS! In my earlier post I was referring to Mr. Lefty’s earlier comments about PAC’S not pace! So Gene, does this mean you support the Iran deal? If so, even the part that let’s them self inspect? Or the part where Obama/Kerry agree to pay/bribe Iran w/ billions of our taxpayer dollars? How about a link or something to substantiate your claims? Something other than AM radio. The Republican’s know that there is no viable alternative. Other than war. All they are doing is trying to gain blaming rights if Iran gets nuclear weapons. There is so much pro-Israel PAC money being spent in Washington that it is virtually impossible for anyone outside of government to understand the deal, or know what is in it. The Republican’s are just “tuning you up” so you will vote for the establishment come 2016′. They got you right where they want you. The Party that controls the U.S. House gets a lot of PAC money, the Party that controls tthe US Senate gets a lot of PAC money. The Party that controls both gets even more PAC money. Now, if a Party controls the White House, and both the Senate and House they get even more PAC money, plus control of both the U.S. treasury and Federal Reserve. Neither Party cares about you or me. Quit being naive. It’s all about money. Just like hate radio is the same. Ok, so I’ll ask my question again, Gene do u support the so called Iran Deal? Well yes I do, course. You will find that I generally take the opposite side of PAC’s. And that includes the AIPAC. Remember, nothing changes until the money is off the table in politics. Both Party’s are about the same. It’s all about the cabbage. Don’t be stupid. Dave is the best-I knocked on hundreds of doors for Dave and will gladly do it again! Keep on Keeping On Dave! My prayers are with you. He’s still got a 100% rating from conservative review, one of the only organizations I trust.